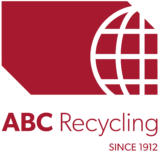 Overseas container and barge service are amongst the services available through ABC Recycling Nanaimo. We specialize in Structural Steel, equipment parts and components, and non-ferrous metals. Cash, cheque, Visa, Mastercard or debit accepted.